Now this days blogging has become a fashion for every IT professional to a normal internet user.Blogging is associated with the online presence of the bloggers and it is the most preferred medium to confirm your presence on the internet.If you have been engaged in writing or possess a flair for writing,blogging should be your choice.Today I am going to disclose a few secrets of a professionally successful blogger.Although blogging is creating a rage with each passing day,it is one of those mediums that require constant improvement. The bloggers should not only follow trends,but their own creativity for writing fresh and exclusive contents.The hackneyed expressions and clichés should be avoided while writing. These techniques will help the audience to improve their writing techniques and become successful bloggers.Most Essential Top 3 Secrets of a successful professional blogger and webmaster. 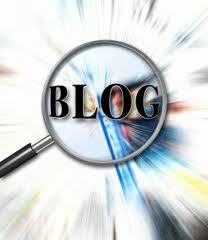 Start a blog with blogger.com and never with free wordpress.Choose a Topic that may help you Make Money.You should not start writing on anything you like,only selected niches work wonders for a Blog.You need to be logical in the choice of your Blog Niche.Submit your sitemap to Google,link to Yahoo.Apply all SEO related tweaks to your template.This will turn you into a SEO.Give great focus to SEO articles published at MBT because we share everything here that would work for any blog,may it be running on wordpress or blogger or typepad.Do not apply for Adsense.Now polish your web designing skills.Write at least one Post per day of at least 500 words.Adopt the written formatted style of your favourite bloggers.Always Write on social media no matter what your blog topic may be.Do mention Facebook and Google Plus updates to your readers and keep writing on them when the news is worth sharing.The initial push in traffic depends on social networking sites. Apply for AdSense.Add 336 by 280 just below post titles.Enough.Add image/rich media ads only.You should not turn your blog into a fish market of ads.This wont increase your revenue, instead would discourage readership.Give more importance to readership and less to Revenue for at least 1 Year.Build your twitter, Facebook,Google Plus Fans and most importantly your RSS Subscribers.Write Guest posts to build rich backlinks.Give your best shots with your guest posts.Win the heart of the admin as well as his readers.There are many sites that accept guest posts.Don't waste time commenting on forums and blogs.Write only quality guest posts to drive PageRank juice and consistent inorganic traffic.Work on your Alexa Rank.The best tip to improve Alexa is Post Frequency and nothing else.Keep your posts focused on social media to boost Alexa Rank. 1 year of your start may be Last forever when traffics above 1000 daily unique visitors.Succeed in receiving 5000 visitors per day the second year of your blogging.At the point where you succeed in receiving above 1k traffic daily,you then qualify for stage three.Apply for Banner Ad services like BuySellAds.Don't increase the Ad spot prices when you start seeing sponsors.Maintain a fixed price for at least 20-30 days.Display no more than 12-15 Ad spots per page.Never Compromise Blog load time for anything.Beauty matters too but use only those widgets that may help your visitors and do not add widgets just for the sake of attractive design.Share posts based on Affiliate Ads.Learn what is Affiliate Marketing.You can now confidently Follow Pro Bloggers and Learn their Marketing strategies and apply them.Increase your post frequency and make sure to increase traffic by 200%.You must now be able to understand what brings traffic.Choose Topics wisely now and keep fascinating readers with free goodies and resources.Write at fixed time and don't just publish posts randomly at any time you find your post ready.Schedule your posts to a fixed time.This boosts Alexa greatly.Start valuing every single hour in a day.Work at most 6-8 hours per day. You sole purpose should be now building readership,maintaining traffic,interacting with readers more and more.Keep reading on how to Choose Ad spots wisely.Choose just one Affiliate product and promote it.Subscribe to biggest technology blogs and keep yourself updated with latest developments.Publish a post on biggest headlines always.Be polite in your tone even if someone tries to pull your legs.Each day you must see a change in your Alexa Rank,Fan Count,Subscriber count and unique visitors and PageViews.Always keep an eye on your competitor.If you think he has shared something you have not yet published then do not wait just post on it in your own unique style with more enhancements.Be unique in your tone,style and strategy.Success will be waiting at your doors to Hug you soon.